Wildlife Humor and Education by Mia & LG at the WON Mia Anstine - Encouraging everyone to get outside, hunt, fish, shoot, and survive life with others in a positive way. The LG and I are still laughing about this one. You’ve got to read our humorous, yet informative tale, over at the WON. In the off-season, the road-hunting theme (“Don’t worry, we’re shooting cameras!”) seems to gain traction for LG and me. We do a lot of driving to and from school, and see a lot of animals. We tend to leave early in the hope of seeing something good to take a picture of. Mia & the Little Gal is brought to you by Girls with Guns Clothing. One afternoon, on the way to basketball practice, we spotted a buck with large antlers. LG urged me to turn around before he ran off. She was excited to try a new attachment that hooked her cell phone to her spotting scope. 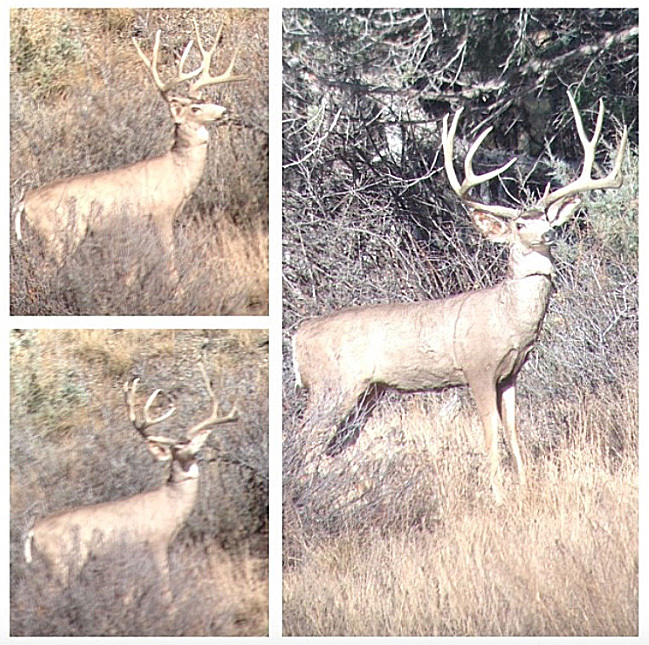 The buck wasn’t too far off the road, so we thought for sure we’d be able to get a good pic. I safely made a U-turn and drove back. The buck was still there. I parked off the road, opposite the antlered fellow. LG hopped in back and rolled down the window. I aimed my camera as she stuck her spotting scope out. It took her some time to get the new device to properly focus on the deer. We were both excited about getting a picture before the guy ran off. LG got her camera focused in just about the time it took me to click off a couple of photos. The buck shook his head.